what is World of Warplanes Realms? "This folder is used for World of Warplanes Realm overrides." Concerned about the differential between fighters and bombers like the IL-20 in ability to rack up personal points. Is this considered in the ratings?? The missions for the bombers are nearly impossible to earn for people who work for a living. 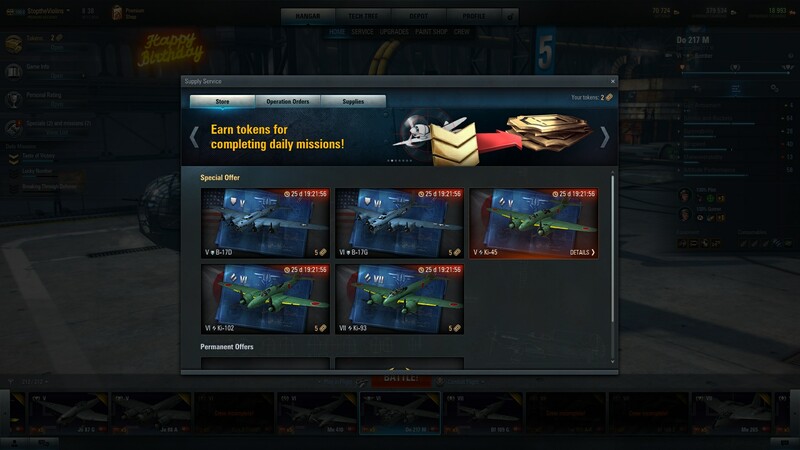 The Token cost is also way too high for the tier 6 bomber; 12 missions at 9 Tokens a piece or complete 12 nearly impossible to beat missions in less than 24 hours. Not fair Wargaming. It may be connected with the unified game client we have at the moment. It would be great if you could be more specific about the situation. Has this folder replaced your game folder or was created in addition to that one? Roughly said, the number of Personal Points earned depends on the damage dealt to aerial and ground targets. So if you cannot play on GAAs and bombers good enough (like me) you will easier get more personal points on heavy, multirole or light fighters. And vice versa - you can score much more Personal Points for destroying ground targets (and damaging aerial targets with your gunner) using your favourite GAA or bomber than just flying around on fighters. If you feel that you cannot complete your missions in 24 hour period you always can extend your Operation Order for another 24 hours. How are they supposed to be overpowered? Most of their firepower are concentrated on that single high-caliber gun, which means they have far less effective firepower against light fighters and multiroles. If I remember correctly they are also the slowest HFs at the moment, and they can be easily caught by fast fighters like Bf 109s and Mustangs. They are excellent large plane hunters, but could be easily taken out by smaller foes. Blindfold suggests clearing cache (didn't work for me, might work for you) or waiting for the server reboot which I think happens daily. Edited by StoptheViolins, 09 November 2018 - 02:12 PM. I had no issues getting the B-17G in way less than 24hrs. I work for a living and have 3 kids to deal with. I only used tokens to skip 2 missions that I felt were to silly for me to complete with my skill level. So WG I think its just fine the way you have it set up. As I said in your thread, Token sale starts at 17.00 PT/ 20.00 ET. Also please try to clear the cache and check if the problem remains. Just coming to clean it up, but thanks! You may have kids and a job but I also have a job and do full time college. I also have an obsession with American hardware (tanks, planes, ships, guns, etc.) that keeps me from completing my school work at times. - Black screen after pressing battle button is back. - Game froze pc twice, only hard reset possible. - Half of the time the machine gun sound, keeps playing even when you are not shooting. - Machine guns sound really distorted. 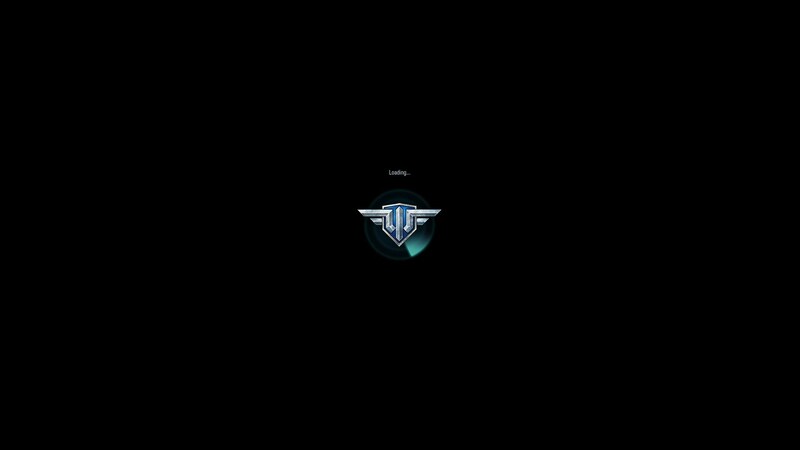 - Locked out syndrome at first respawn happend twice yesterday. When i flew in my Hurricane 1a, there was no problem. I completed the 4 missions for the XP-36F in my Hurricane, didn't have any other choice. But the missions were quite easy. The rewarded XP-36F looks like a beast stat-wise. If you look at the numbers, it seems a bit OP for tier IV, in terms of Armament and speed it's quite close to the BF-109E-3 which is a solid performer at tier V.
But when i took the XP-36F to the skies it didn't feel so OP. Those Madsens somehow don't really feel like a double pair of 23mm cannons, and they overheat very fast. Edited by jack_wdw, 10 November 2018 - 11:15 AM. WHICH IS THE B17S? that it is mentioned in the game launcher? Actually it goes B-17s which means that there were more than one B-17 introduced to the game. They are B-17D and B-17G. I did the B17G 12 missions at 9 tokens each. Can someone put up the token count for the other planes? Japanese heavies as well? I hate skipping missions but they just take too long. I work 6-7 days/week 12 hour shifts? Then I have daily home chores to do. WG should be more sensitive to working adults with these events. It seems they are geared to kids with unlimited game time at the expense of the Adults who have to juggle work, family and other adult duties to keep the house running and the mortgage paid. How about a reduction in number of missions or remove the "Victorious battles" Reqirement? I can't count the number of times I rank #1 or in the top 3 and still lose the mission. Seems it's 10 defeats for each victory lately. Can someone please post the number of tokens needed to get the bombers and heavies? I got the B17G 12 missions at 9 tokens each. I simply don't have the time to work a 12 hour shift and grind away 12 missions in a day. Yes you can extend with more tokens but it may be days b4 I get to play again. I work for a living 6-7 days a week 12 to 16 hours/day. WG needs to show some consideration for working adults, not just kids with unlimited game time. B-17D is four tokens and B-32 is 16 tokens. But unless you are in a real hurry, many of the missions are quite easy. The B-32 is the best deal, IMO. That is per bypassed mission. Edited by Captain_Underpants53, 14 November 2018 - 08:52 PM.